The links below will take you to other websites with helpful information about Puget Sound shorelines. Learn all you can about coastal living so that you can manage your property with confidence. Click on the blue title below to open a new web page. WA Department of Ecology - Puget Sound Shorelines - Great information, shoreline science, and tips to help you protect your property and Puget Sound. WA Coastal Atlas - Find your property on this GIS-based map and learn more about marine conditions around your stretch of Puget Sound. You can even find historic photos of your shoreline here, to see how the coast has changed. Shoreline Armoring Impacts - Information on bulkheads and their impacts to Puget Sound coastal habitats and processes, from the WA State Department of Ecology. Encyclopedia of Puget Sound - this fantastic website synthesizes and shares scientific information about the Puget Sound ecosystem. Hosted by the Puget Sound Institute at the University of Washington. Beach Watchers Program EZ-ID Guides - a great resource to help identify the critters and plants inhabiting the beaches of Puget Sound. 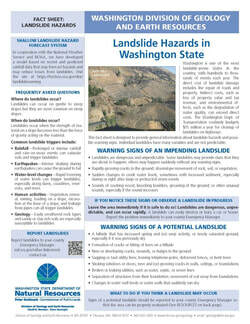 Puget Sound Landslides information page. Information, maps, and guidance. Coastal Bluffs and Sea Cliffs on Puget Sound, Washington - An article by Hugh Shipman presenting an overview of the geologic setting, formation, and processes related to marine shoreline bluffs. WA State Department of Natural Resources (WA DNR) - Geologic Information Portal. 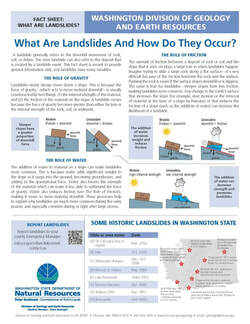 Maps and information to help you understand Washington's geology, landslides, and geologic hazards. What are Landslides & How Do They Occur? Mason County Division of Emergency Management (DEM)- links for emergency plans and more. Information on required shoreline permits and development regulations. Building on shorelines information page. Guidance, permit information, and more. Shoreline Master Programs- FAQs about the Shoreline Management Act and Shoreline Master Programs, which guide how state shorelines are managed and how development is regulated, from the WA State Department of Ecology. Green Shores for Homes - Join the growing ranks of waterfront homeowners participating in this exciting certification program! Shore Stewards Program - great information on many aspects of shoreline living, from WSU Extension. Join their program to stay informed! Green Shorelines Blog - a great blog focused on improving shorelines for people and salmon. 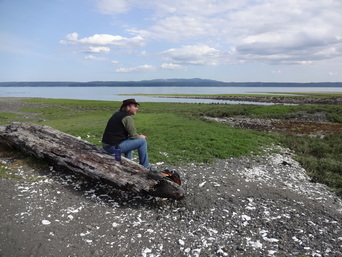 Gravel Beach - a great blog focused on Puget Sound shorelines, written by a coastal geologist. The Coast Nerd Gazette - a great blog focused on Puget Sound coastal topics.